Your table is laden with wheat and wheat by-products, the suns are refusing to shine in the sky, the faceless old woman who secretly lives in your home is gently blowing on your neck. In a strange pan-dimensional coincidence, every word of today’s broadcast is being typed live by one of those infinite monkeys we keep hearing about and will be published on a podcast review website called Podcast Pals. I asked Carlos the scientist about it and he told me he’d look into it after he was done running tests on the Glow Cloud. The Sheriff’s Secret Police have been tracking the progress of a counterfeit dollar bill around Night Vale. A man who is not tall used it to repay a debt to a man who is not short. A clean-shaven woman used it to buy milkduds for Koshekh, the cat that floats four feet from the ground in our men’s toilet. John Peters – you know, the farmer – gave it to a child who had lost a tooth. If you come into possession of any dubious currency, please inform the Sheriff’s Secret Police by picking up your phone and speaking. There is no need to dial; they are always listening. The town council reminds listeners to shun Strexcorp products until the feud with our rival town Desert Bluffs is over. IT WILL NEVER BE OVER. THEY KNOW WHAT THEY DID. I am being instructed by the malevolent beings who run… I am being instructed by Station Management to explain things for people reading this on the Podcast Pals website. Well, dear reader listener. My name is Cecil Baldwin and I host a local news radio show. On Welcome to Night Vale, I give updates on local events in my deep, soothing voice. 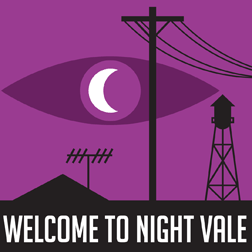 You might think that the events in Night Vale are sinister and unsettling, but they’re not! Night Vale is a wonderful place and the tourist industry is thriving. No tourist who comes here ever leaves. Oops, my voice got a bit menacing there. But really, there’s no cause for alarm. Yes, there are some entities which cause alarm, distress, even havoc, but I like to think they add colour to our lives. And so what if supernatural events, wormholes, not-angels, and spacecraft form part of the fabric of our society? You show me a town where the fabric of reality isn’t torn into shreds, and I’ll show you a town full of liars and charlatans. A town like Desert Bluffs perhaps. We also run advertising from major corporations (not all of the copy has been approved by their marketing departments), public service announcements, and election campaign updates. And we’re the only radio station that has fans writing fan fiction. Oh, you’re intrigued? Well, Station Management is instructing me to suggest you download episode 1 onto your smartphone without further delay. 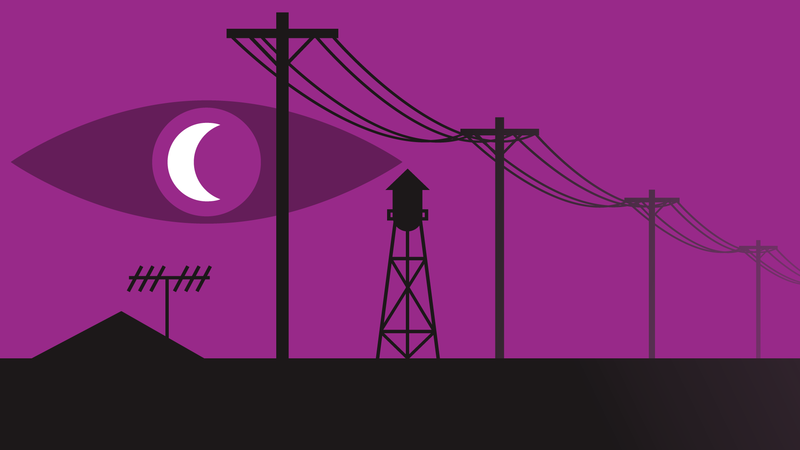 Once you’ve listened to 40 or so episodes, you can take this Buzzfeed test: Which citizen of Night Vale are you?